Although I had to pass-up the French terracotta figures I showed the other day, I will always obtain the more esoteric figures when I see them at an affordable price, and these are a case in point coming-in at 50p (less than a single Euro or Dollar) each from a charity shop the other day. Despite Googling every possible combination of India-Indian-Pakistani-Pakistan-military-Army-Navy-Air Force-uniform-turban-headdress-ceremonial-red and blue-band-Bandsman and music-musician I can find no hint to the regiment or unit here represented, any ideas? There is among the higher echelons of the collecting fraternity a chap who - a decade or so ago - imported lots of lovely little sets of Indian Army bands, each of about 8 musician figures in a soft pink terracotta/clay materiel and while he's been pointed out to me at the odd show, I'm ashamed to say I can't remember his name. Anyway, I was always taken by the sets - which often still turn up either as the original trayed, boxed sets, or as a handful of rather dusty 'casualties' - but they were smaller (around 45/50mm) than these, which stand 70-75-odd millimetres with their heavy bases. There is a requirement for a new hand, and there will have to be some careful straightening of the brass-wire instruments at some point, but given the nature of the material and the fact that they've become divorced from their original packaging, they are in remarkably good-nick. 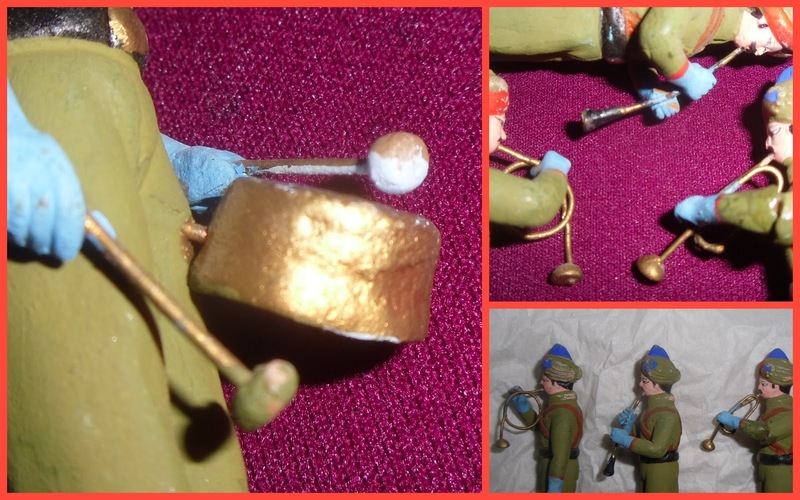 Close-ups of the instruments, quite crude, but they do the job, and have that 'craft' charm you don't get with say the Airfix Afrika Korps, which are lovely but commercially finished 'Models', while these are very much 'Collectable Figurines' (away from India), yet 'Toy Soldiers in the slums and villages where they are probably sold for about the same as I paid for them! Lovely little doll-like faces only add to the charm, a couple of them seems to be reading the music of the chap next to them! And how they are seeming to be enjoying the playing!! As the Indian Army do have some very fancy ceremonial or 'dress' uniforms, I am assuming this is the No.2 or 'undress' uniform with it's majority Khaki? Again anyone who can identify the unit please drop us a comment. I don't think it's a UN turban, they tend to be all blue. The small figures I mentioned come in very smart dress uniforms, but I'm not sure they were all military, or even representing actual units, yet these seem to be trying to represent a real unit...cavalry perhaps? Arr-Ha! Another night-owl!! Thanks for dropping by! My dad got a set of these guys in grey uniforms, back in the 80s; he was RAF, stationed in India pre-Independence, and loved the place and people. They've passed on to me. I've tried to find more about them, with no luck. Sets appear on eBay from time to time. There doesn't appear to be any packaging involved. I've never seen packaging for these larger ones, but the smaller ones the BMSS chap was importing a while ago came in a sort of elongated matchbox or 'matchmaker' type tray, in white card, with a cellophane wrap making a window over the top of the tray. They are charming and someone aught to make a better study of them, as they are the sort of thing that A) will disappear as India industrialises and imports more and more Chinese plastic junk (or make their own plastic junk!) and B) are a very ephemeral thing, once they have had a bit of rough treatment, or got a bit damp they rapidly disintegrate! India - hmmmmm, an untapped source for the toy market here Stateside. I wonder what their space toys were like? I do like the turbaned dress uniforms of these. I don't think they made much in the past Ed - not in the toy line: I have a faux-ivory Camel on a faux-ebony base in a basic styrene which looks like it should be part of a desk-set or something but which is probably a tourist trinket. It has a mark which I can't remember offhand but it's something like Calcutta Industries? Other than that I suspect their toys where either home made clay/plaster like these, similar wooden craft-works or imported bottom-end (price-wise) Hong Kong rack-toys? The pre-developed-nation concept of toys and playthings is a very different beast to our manufactured goodies, even the kites which are so popular in that part of the world are hand made from bamboo, or split ramin (Gonystylus) with painted silk or paper sails. 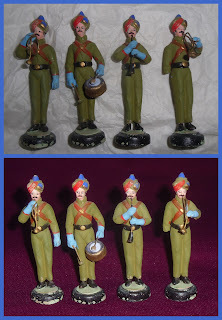 These Indian soldiers, were never painted to represent actual regiments....apart from soldiers, there were civilians too and figures in medieval Indian dress. Sadly, we dont get to see them much these days in India. 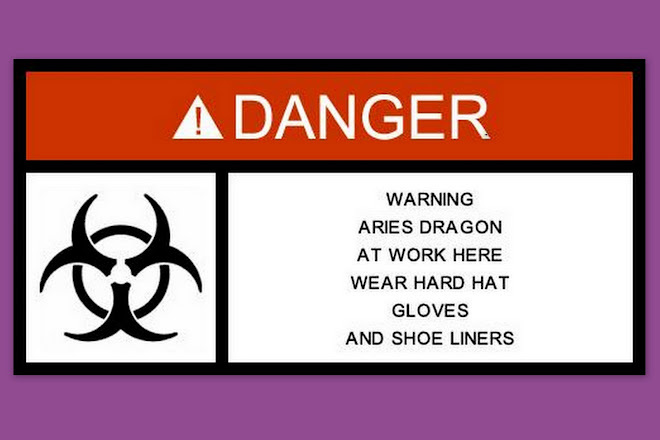 Enjoy your collection ! 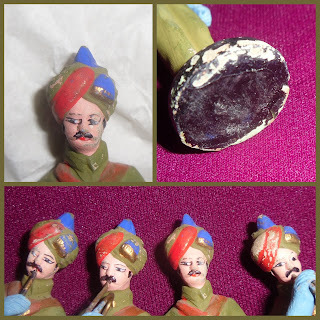 Thanks for that Yusuf...I discovered 'Channapatna' toys the other day, and haven't yet researched them, would these figures be considered them, or do they have to be wooden? If you click on "Make; Indian" in the tag list you'll find a plastic camel and the wooden animals from your continent that have migrated to my collection! I have come across five different varieties of these sets of varying size and subject matter. I am currently listing them on ebay but unsure as to the time period or how collectible these figurines are. I will post any other information I find on them. That would be kind TJ, if you could save some photographs and eMail them to me I'd happily do a post round them?